After liberating itself from French colonial rule in one of the twentieth century's most brutal wars of independence, Algeria became a standard-bearer for the non-aligned movement. By the 1990s, however, its revolutionary political model had collapsed, degenerating into a savage conflict between the military and Islamist guerillas that killed some 200,000 citizens. 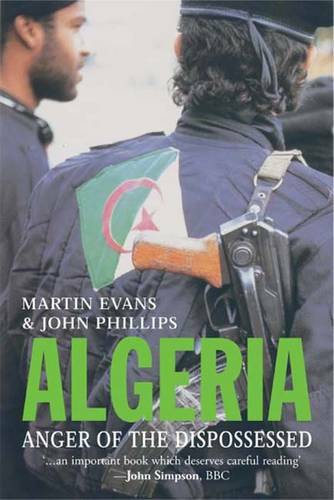 In this lucid and gripping account, Martin Evans and John Phillips explore Algeria's recent and very bloody history, demonstrating how the high hopes of independence turned into anger as young Algerians grew increasingly alienated. Unemployed, frustrated by the corrupt military regime, and excluded by the West, the post-independence generation needed new heroes, and some found them in Osama bin Laden and the rising Islamist movement. Evans and Phillips trace the complex roots of this alienation, arguing that Algeria's predicament-political instability, pressing economic and social problems, bad governance, a disenfranchised youth-is emblematic of an arc of insecurity stretching from Morocco to Indonesia. Looking back at the pre-colonial and colonial periods, they place Algeria's complex present into historical context, demonstrating how successive governments have manipulated the past for their own ends. The result is a fractured society with a complicated and bitter relationship with the Western powers-and an increasing tendency to export terrorism to France, America, and beyond.